Because Of A Security Breach? NNT’s SecureOps™ can dramatically reduce your overall risk of security, operations and compliance! 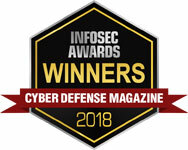 SecureOps™ combines established best practices for security and IT service management to deliver a holistic and comprehensive solution that identifies and highlights unknown, unwanted and potentially malicious events in real-time…without all the NOISE and headaches of endless alerts. This strategy is underpinned by NNT’s knowledge of the essential common controls that overlap to support and achieve business objectives from two different vantage points. 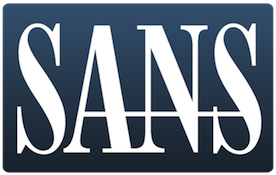 This approach creates the security foundation and a solution to eradicate security breaches and incidents as we know them today. Focuses on the establishment of policy to detect changes from a known baseline or trusted state by utilizing NNT’s best practices and library of policies. These policies are derived from trusted third-parties like the Center for Internet Security (CIS) top 20 controls that prioritize a set of actions that mitigate an organizations risk from known cyber-attack vectors. 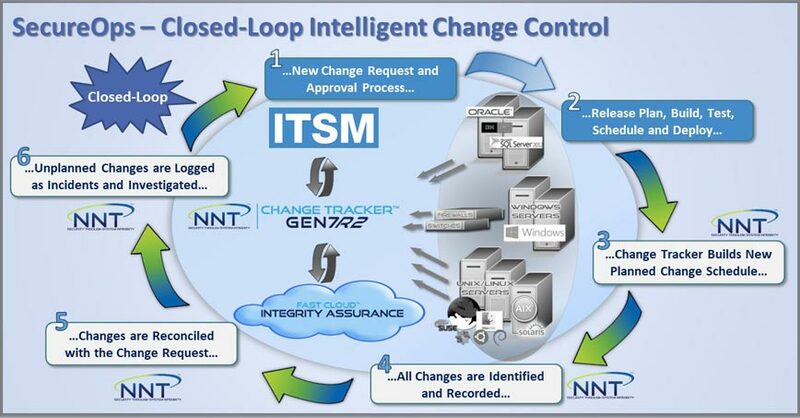 Focuses on creating a closed-loop environment specific to “expected” changes. Any identified changes that are not planned or map to an authorized work order are suspect to investigation and/or remediation. 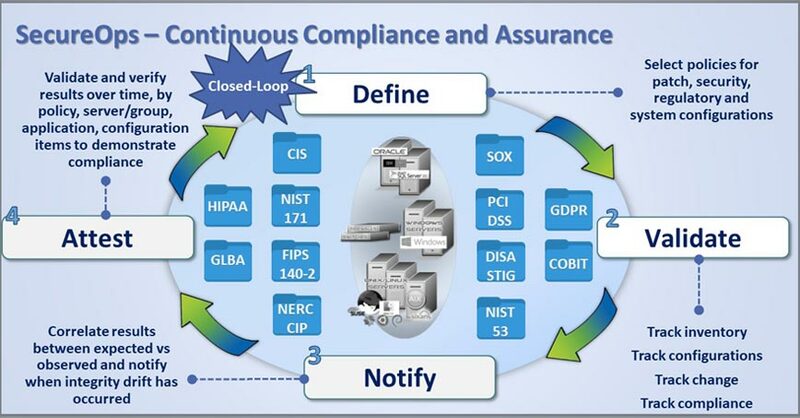 The by-product of leveraging these two approaches together is that you are able to deliver continuous compliance & assurance on a daily basis...whatever the standard, regulation or policy. 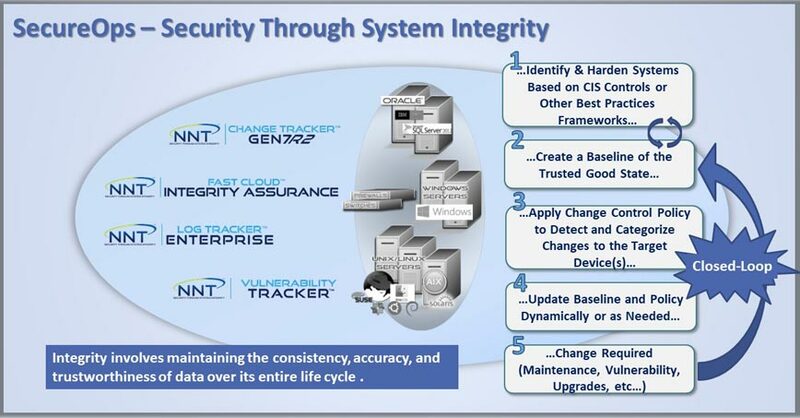 The NNT suite of products and services provides a comprehensive set of security, change control and compliance & assurance solutions that deliver the necessary controls to establish the required foundation to validate and verify the integrity of your entire IT Infrastructure at ALL times. "All security issues start with a change or a need for change"